Fifth year student of Magister des Rechts at the Faculty of Law and Administration at the Adam Mickiewicz University in Poznań and the European University Viadrina in Frankfurt on Oder. Awarder the Ludwig-Heidenhein-Stiftung scholarship twice for outstanding academic achievements. He is interested in mediation and arbitration, personal data protection law and competition law. Completed basic training for mediators at the Polish Mediation Centre. Plans to specialise in economic and penal mediation and obtain a mediator diploma. Completed a three month practice in the legal department and the political department of the Embassy of the Republic of Poland in Vienna. 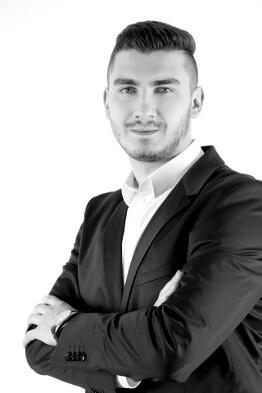 Gained his professional experience in law and tax firms in Poznań and working as a German-speaking account manager in a large forwarding company. Fluent German, communicative English and basic Spanish.